The company has built a new facility in Portadown on a site purchased from Invest Northern Ireland. The investment is part of a five year project to increase its workforce, manufacturing capabilities, and grow international sales. Speaking at the official opening of its new factory, Brian Boyce, Joint Managing Director said: “This is an exciting time for us at Boyce Precision Engineering as we begin the next stage of our journey. This major investment will help us to meet our strategic growth plans and boost sales in external markets, particularly in the aerospace and pharmaceutical sectors. 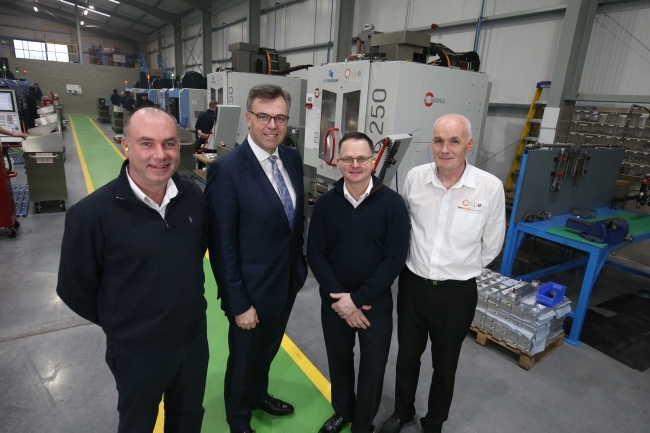 Alastair Hamilton, CEO, Invest NI added: “This major investment by Boyce Precision Engineering is a positive endorsement of the strength of Northern Ireland’s manufacturing capabilities.